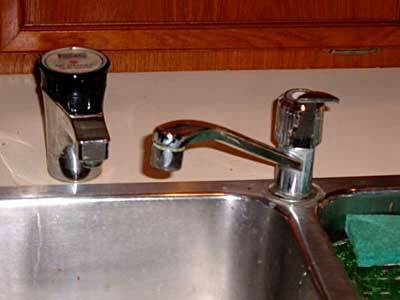 The existing faucet is not very attractive. It's leaking and the handle is hard to move. The hot-shot tap leaks as well. The faucet will be replaced by an elegant MARINER Italian faucet having a single lever mixer with a pull-out spray. The hot-shot tap replacement is yet to be determined.